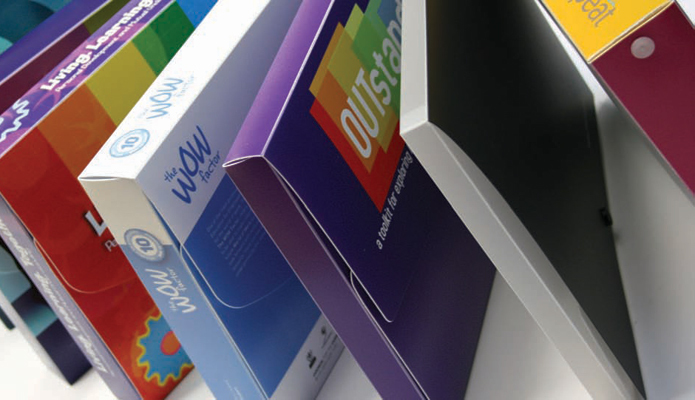 Specializing in HF and Thermo contact welding, die cutting and printing we design and manufacture an exciting range of promotional stationery, presentation, and packaging products in PVC , PP and fluted Polypropylene. 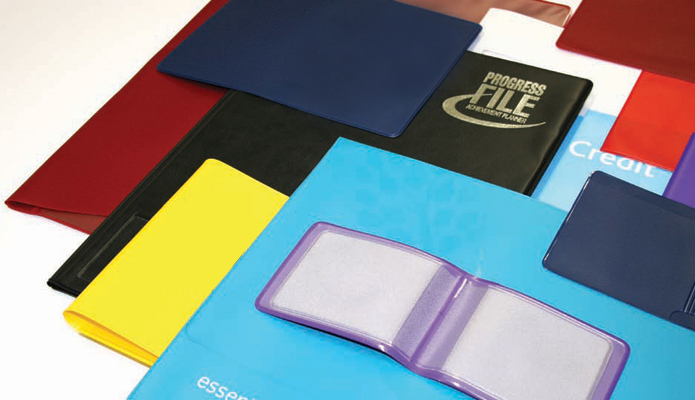 Our Presentation range, manufactured in PVC and PP includes ring binders, presentation binders, dividers, wallets, folders, clear pockets, presentation pockets, display pockets, archival pockets, portfolio sleeves, self adhesive pockets, corner pockets, cd pockets, tax disc holders, book covers, policy covers, card wallets, credit union covers, textile packs, swatch covers, diary covers, desk calendars, travel wallets, cheque book covers, bank statement wallets, art cases, art case inserts, portfolio cases, promotional cases, studio cases. 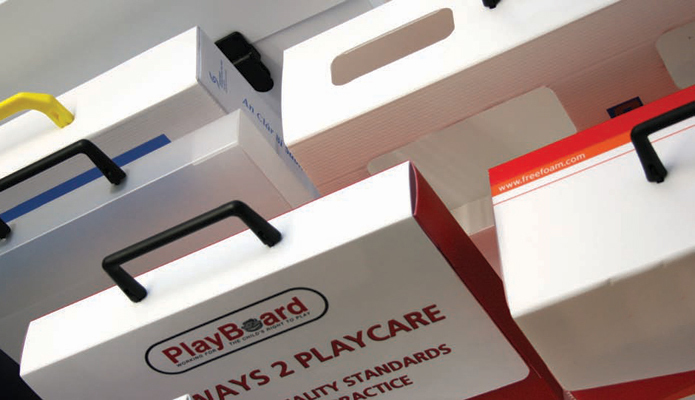 All products can be finished with flaps, straps, handles, elastics, clip closures, top and socket closures, hook and loop closures, cd pockets, video inserts and name pockets. 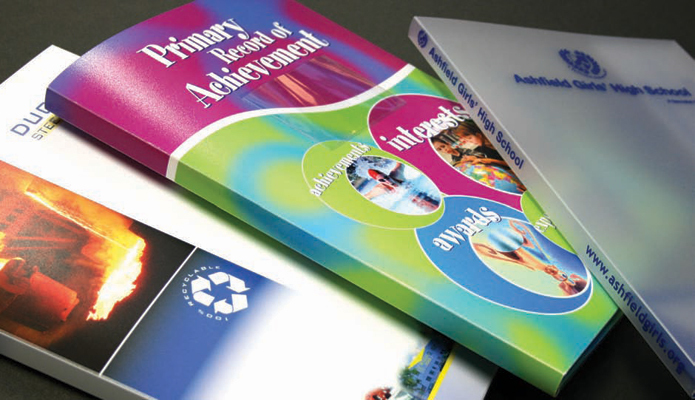 All products can be screen printed, litho printed, foil blocked or embossed to customer requirements. 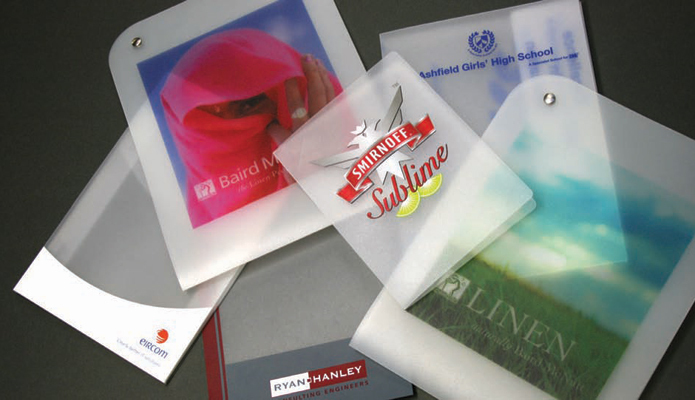 Our Art and Graphic Sleeves (a range of clear pockets in sizes A1, 50 x 70cm, A2, A3 and A4) are manufactured in 190, 150 or 140 micron orange peel PVC, or in 150 micron glass clear PP. 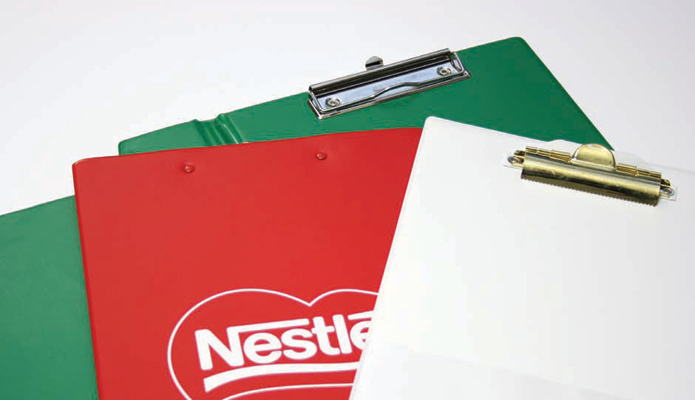 All are fitted with black mounting paper and are punched to fit most standard ringed portfolio cases. ‘Own brand’ can be embossed on each sleeve along with bar code if required. 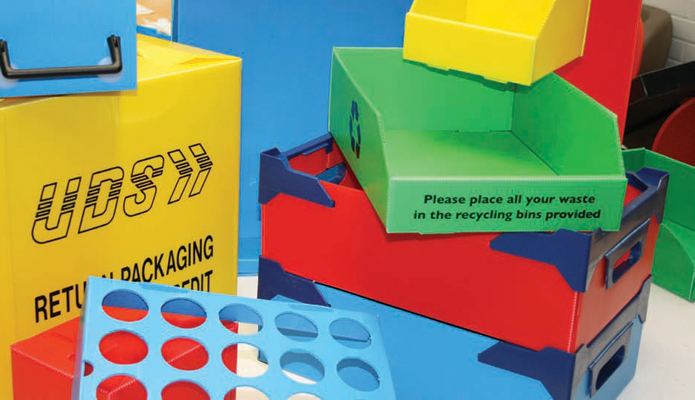 Our Packaging range manufactured from tough, light hardwearing, fibre free fluted Polypropylene includes an innovative range of reusable, multi trip boxes, trays and dividers for many industries including pharmaceutical, medical, computer, electronic, engineering, molding, general manufacturing, document storage, warehousing, retail and distribution. Conductive and anti static boxes also available. 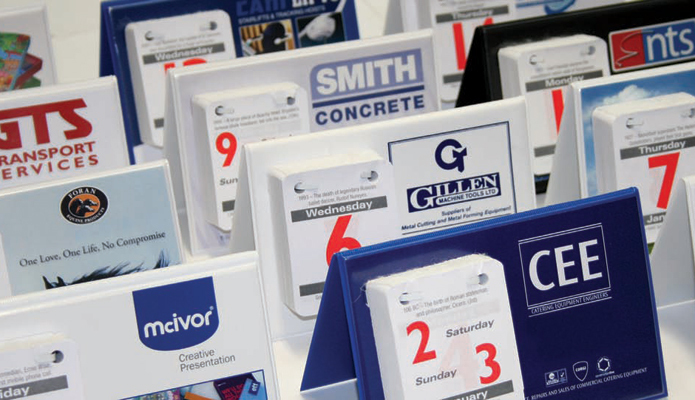 You can choose from a large range of stock sizes on all products. Special sizes are made at very low tooling costs.